AWARD strives to provide excellent customer service and communication to our owners and residents. We value your assets and long-lasting relationships. As with all investments, real estate should be professionally managed to yield your greatest return. With over thirty-five years of experience, knowledge and industry expertise, we know about the latest market conditions and trends, government regulations, and upcoming developments in an ever-changing market — so that you don't have to. As a result, your property stays compliant with the stringent standards set forth by the Texas Real Estate Commission and required state property codes. We frequently assess our properties to ensure both resident care and lease compliance. When maintenance issues arise, we only use licensed trustworthy, quality vendors and contractors. Our goals are the same: to keep your property consistently filled with reliable residents, while protecting and maximizing your return. Every effort is made to find qualifying residents who will care for your property as if it were their own. Fort Worth is the 16th –largest and one of the fastest growing cities in the U.S. It is the 5th largest city in the state of Texas which is deemed the Lone Star State. Fort Worth has a rich western heritage with cultural excellence, technology, and modern amenities that make it an ideal location to work and live. Fort Worth has more than 30, 000 companies that call it home. Businesses like American Airlines, BNSF Railway, Pier 1 Imports, Acme Brick, and GE Manufacturing Solutions are all stationed in Fort Worth. 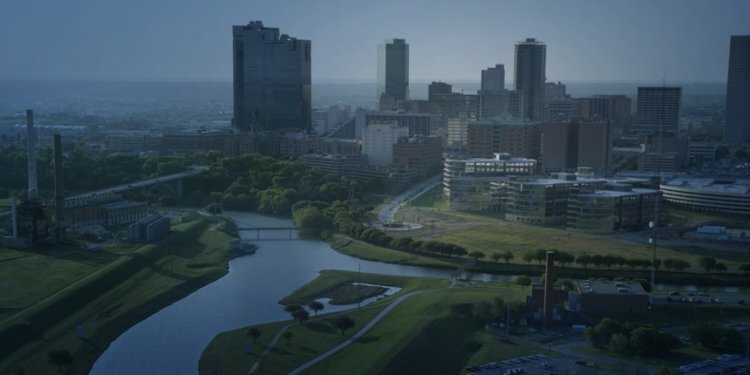 Fort Worth’s central U.S. location, cost effective environment, highly skilled workforce, abundant labor pool, quality and plentiful education, and pro-business attitude help make Fort Worth an ideal location for any business. One of the most important variables in deciding on a home to stay at is the cost of living. The cost of living in Fort Worth is nearly 14 percent below the national average which makes it very affordable. Fort Worth has multiple museums such as the Modern Art Museum which maintains one of the foremost collections of international modern and contemporary art. The Museum of Science and History houses a variety of traveling and permanent exhibitions. Fort Worth also has the Kimbell Art museum which has a collection of art as well as traveling art exhibitions. Educational programs and an extensive research library. These are all some of Fort Worth’s greatest museums amongst others. Fort Worth is known for its western culture and the stockyards provide a number of experiences that can’t be found anywhere else. We also have very modern areas like Sundance Square downtown. It is a 35-block commercial, residential, entertainment and retail district in downtown Fort Worth that many other cities try to imitate. It is a popular place for nightlife and entertainment for Fort Worth residents and visitors. Fort Worth is home to Texas Christian University that competes in the Big 12 Conference. It is a staple in the Fort Worth community and is loved by many residents. There is always something to do in Fort Worth with its ample opportunities for entertainment.